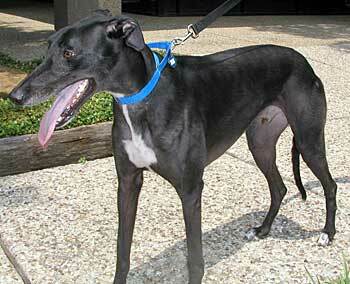 Wink, aka Quickerthanawink, is a shiny black handsome 2-year-old male, born April 29, 2003. Winks sire is Winky Dink and his dam is Ill Say She Can, making his grand sire Wigwam Wag. Wink and Roger are half brothers, sharing the same sire, Winky Dink. 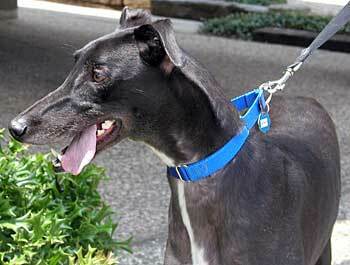 Winks racing career is not registered on Greyhound-Data.com, and certainly by his age, it was a very, very short time! 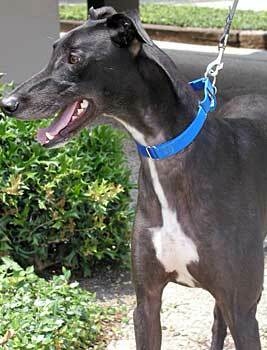 Wink is very, very personable and friendly. It is not known at this time if Wink is small animal or cat tolerant.